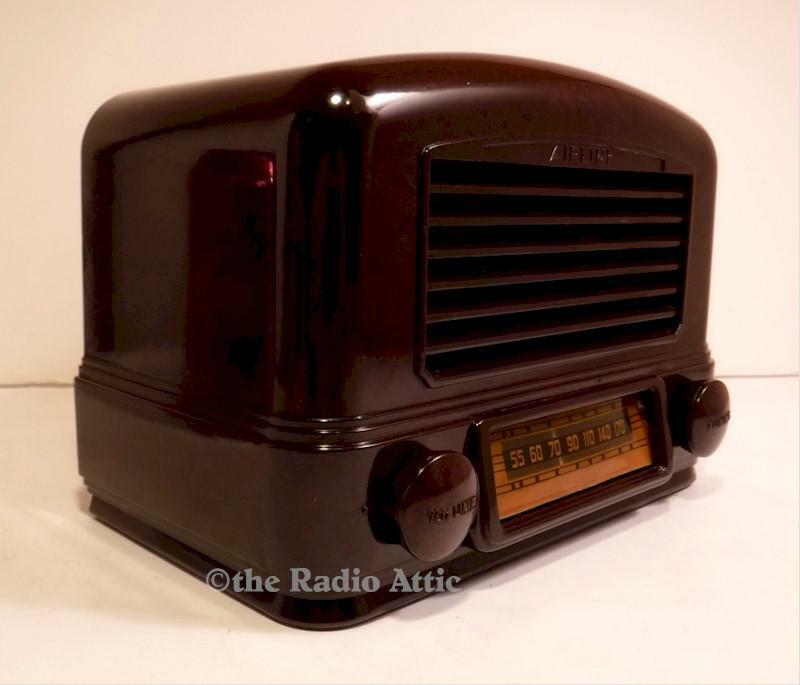 A petite, brown with red marbling, Bakelite cased radio with superb AM reception using the wire antenna, attached, and the five-tube circuit. The dial is crystal clear and not lighted. Fully restored for safe, reliable use. All paper capacitors and electrolytic capacitors have been replaced with high quality modern replacements. Tubes replaced as needed as well as any other defective parts. Please review my testimonials page to get an idea of the quality restorations I do. 8"W x 6"H x 5"D.
You are visitor number 1,749 to this page.